A portrait & lifestyle session at a real Florence institution, Artemisia Fioristi, which is situated right inside one of Florence’s hippest coffee hotspots, the shop + restaurant + café of La Ménagère. 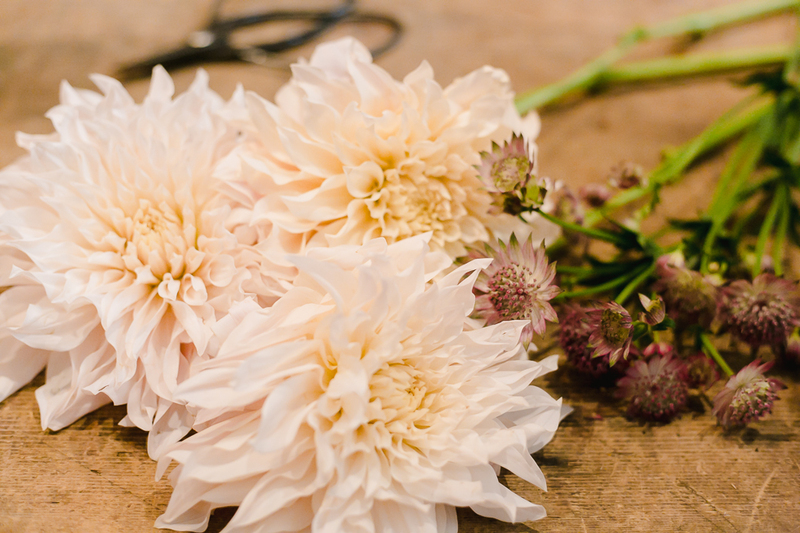 In the busyness of this place bustling with people chatting over coffee, breakfast and lunch and the sounds of espresso machines, Ilaria and her partner run a flower shop off a long wooden counter, inviting everyone to observe the creation of their flower bouquets and wreaths. A totally cool concept, as usually you walk in a flower shop, order what you want and out you go again, leaving the flowers and their ethereal beauty to their own. Here, it’s different; you’re allowed to stay and hang out with the beauties a little more while sipping a coffee drink and enjoying a chat or a read. Your eyes wander from the buckets of flowers, to pots sitting comfortably on the restaurant’s shelves, to plants and greens hanging from ceilings and then to the little vases on the tables – all created and styled by Ilaria and her team – it’s like the plants and leaves and buds are having a party, doing their own thing, naturally spilling into the whole wide space. Just as it should be, really. 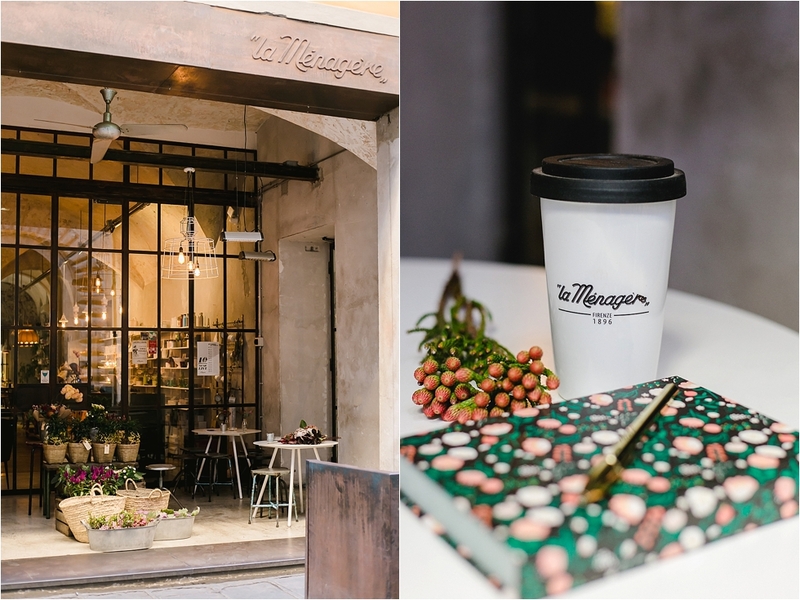 The interior space of La Ménagère is beautifully designed, the spot consistently busy and has quickly become an instagram darling since its opening a couple of years ago. 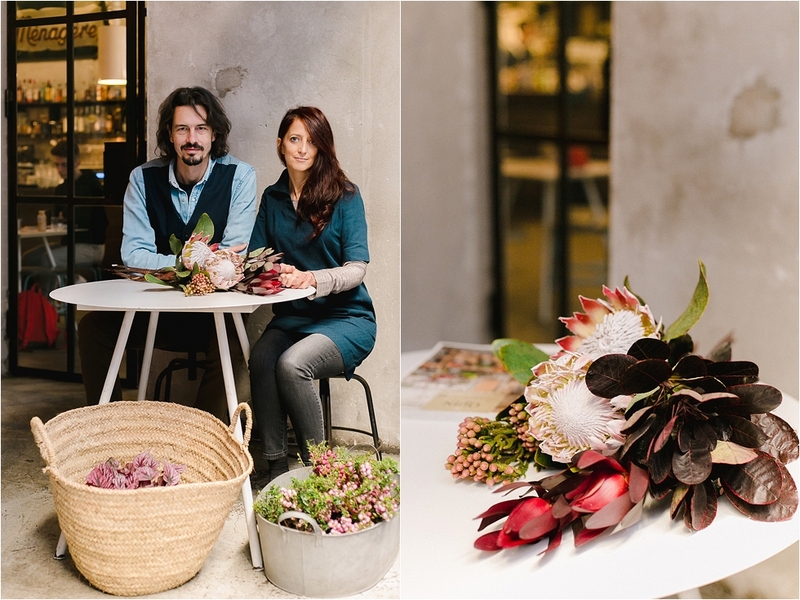 And in all of that, Ilaria’s flower creations give this hip space a warm soul and comfort.